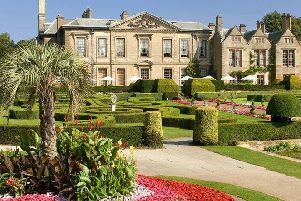 Live music dates announced for Kilworth House Theatre. Tributes to The Eagles, The Bee Gees and Lionel Richie are among the line up for a series of one off shows which have been announced by Kilworth House Theatre. The season will follow on from the outdoor venue’s summer season of musicals, featuring the popular Guys and Dolls and Joseph and the Amazing Technicolor Dreamcoat. First up on Tuesday, September 11, is Jive Talkin’. The timeless repertoire of the Bee Gees is brought to life in this stage production that is taking the country by storm. The legendary Jasper Carrott is back with a new stand up show alongside the rock legend Bev Bevan and his band in a show of classic comedy and golden oldies. It runs from Wednesday to Friday, September 12-14. The popular Last Night of the Proms event concerts return to feature some of the world’s best loved classics including Rule Britannia, Jerusalem and the rousing Land of Hope and Glory plus the very best of British music. It can be seen on Friday and Saturday, September 15 and 16. Talon will bring their Greatest Hits Tour 2018 to Kilworth on Monday, September 17, which features the back catalogue of The Eagles. Beyond the Barricade on September 18 will recreate the hit songs of the West End and Broadway. The Lionel Richie songbook can be seen on September 19. This brand-new production features the awesome talent of Malcolm Pitt as the voice of Lionel Richie in a high octane show. People can relive the hits of ABBA when Bjorn Again return to Kilworth on September 20. Hello Again will celebrate the career of Neil Diamond and features many of his hits on September 21. A Country Night In Nashville comes to the area on September 22. It recreates the scene of a buzzing Honky Tonk in downtown Nashville, perfectly capturing the energy and atmosphere of an evening in the home of country music. The Rat Pack will perform two shows on Sunday, September 23, with the Rock and Roll Paradise show performed on Monday, September 24.